A woodworking tool with a sloping steel or iron blade square off a wooden handle. A small lightweight tool meant to be used with one hand. A sometimes lighter and with a shorter handle tool used for working at body height or overhead. 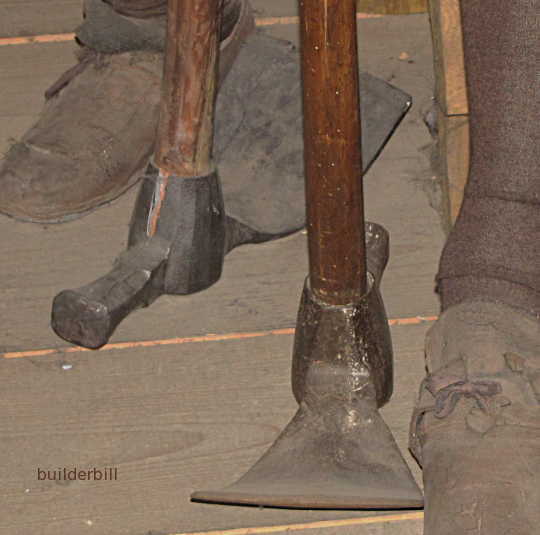 An extension behind the handle socket of an adz or axe, boat builders typically had spiked polls and hammer polls. This tool as been around since prehistory. Made from bone, flint, copper and iron. 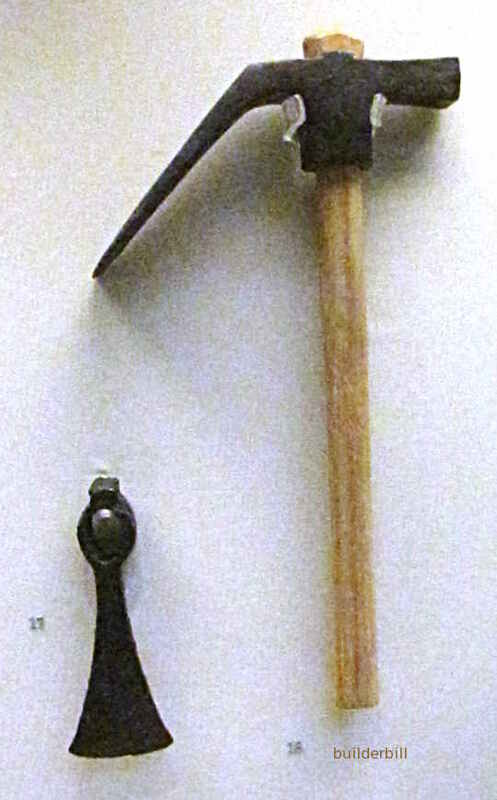 The photograph above shows two small hand-adzes that are from the first century AD in the collection of the British Museum, London. The one with the reconstructed handle is just about identical to ones used by Greek formwork carpenters 20 or 30 years ago. It may look a clumsy thing, but believe me, in the hands of some of the former boat builders from the island of Kalimnos it was a fast and accurate tool. The two large adzes here are large shipwrights tools with a hammer poll. The hammer end got plenty of use and it is common to see them with the curled over hammer faces. A few axes and a couple of adzes. Once again they are shiprights tools. 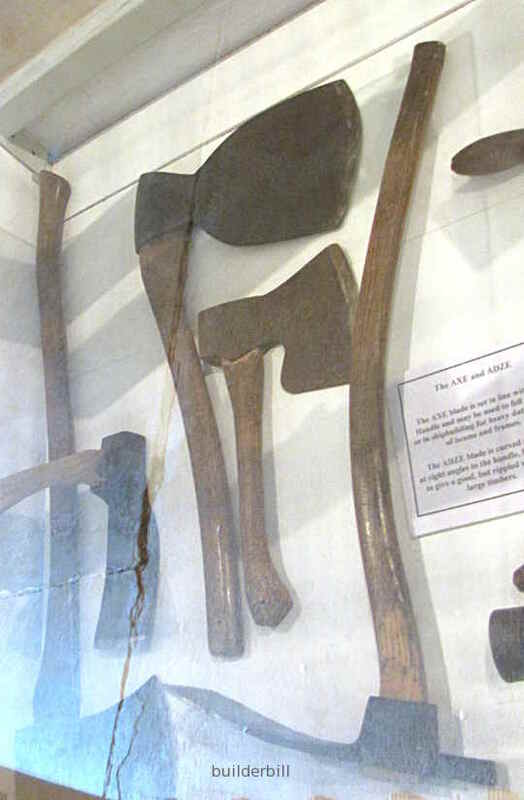 From the collection of the Museum at the Chatham Dockyard in England a selection of adzes and axes.